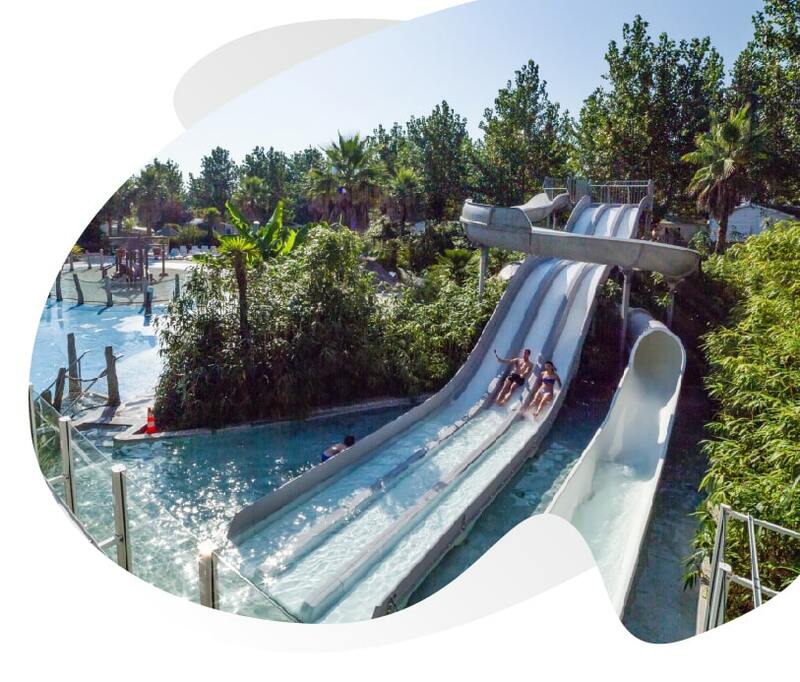 In the french Basque country, the 4-stars campsite OYAM promises unforgettable moments in its awesome 2500m² water park. Open every day from May 1st til end of September , 10 AM to 8 PM. The New Oyam Campsite’s Aquatic Area, is a magnet for kids and families. It’s water for the pleasure of water! Heated, it’s the place to come for a splish and a splash, for slides and water fall a good group aquaerobics workout, or to do your laps solo when the pool’s at its emptiest early in the morning. 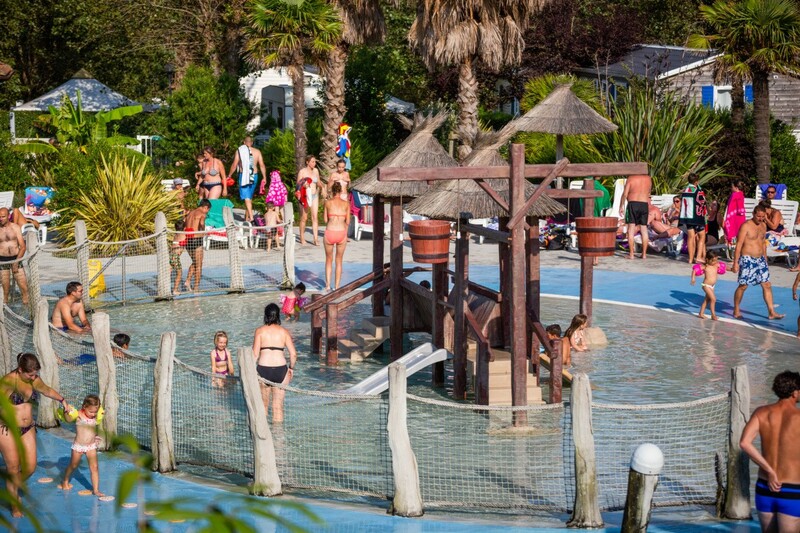 Le parc aquatique du camping Oyam à Bidart est ouvert et chauffé tous les jours à partir du 1er mai à fin septembre! A specific bathing suit is mandatory (swimming shorts are tolerated). The maximum depth of the pools is 1.30m so that adults can swim and children can play easily. Access is reserved for guests of the campsite at no extra charge ! 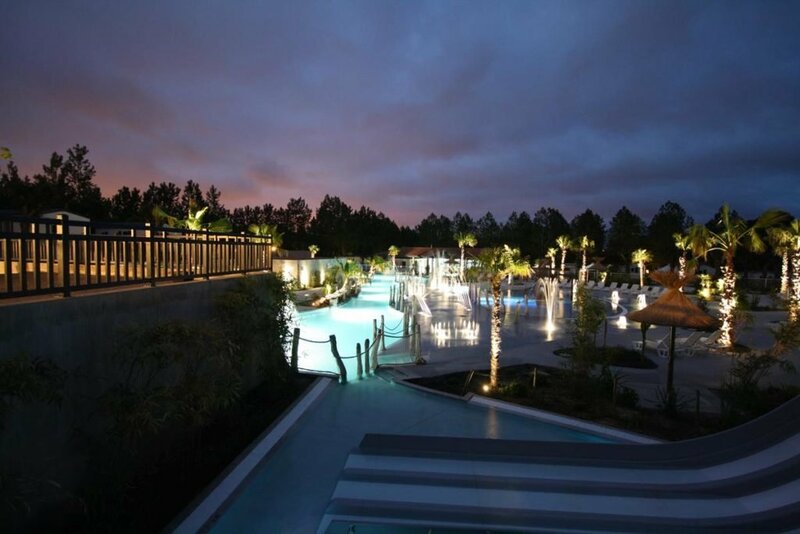 In July and August, we organize a night swim every week with the entertainment team. Games may be offered on this occasion to the holidaymakers at Camping Oyam. Are there any activities in the swimming pool of the campsite in Bidart? Of course friends and in order to boost your camping holidays, the animation team organizes aquatic gym sessions in the pool in July and August. Water games can also be set up, we played water polo last summer, it was ideal for a sporting holiday in the Basque Country! Night openings at the water park take place several times during the summer, it’s always a real pleasure, it’s like a midnight swim, we all love it. And for children who can’t swim? 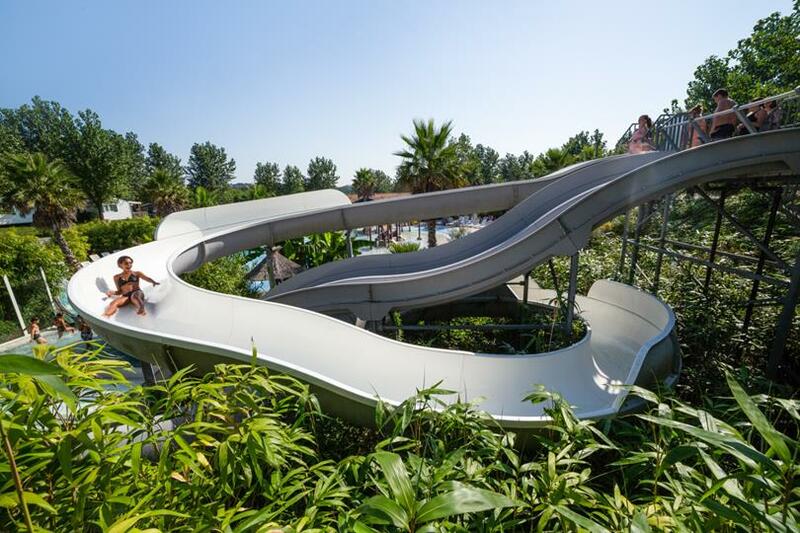 The little ones are spoiled with a paddling pool just for them with slides, bucket that overturns etc… As a bonus, there is a water-spray area and waterslides for a fun camping holiday in the Basque Country. Water spaces are heated.